David M. Pritchard is Senior Lecturer in Greek History at the University of Queensland (Australia). He has obtained 10 fellowships in Australia, Denmark, France, the UK and the USA. In 2018 Dr Pritchard was Research Fellow in Strasbourg University’s IAS. He has published 3 sole-authored books, 2 edited books, and more than 50 peer-reviewed articles and book-chapters. Cambridge University Press is the publisher of 3 of his 5 books. Dr Pritchard has an h-index of 13 and more than 600 known citations. In recognition of his research he has won 1.1 million Australian dollars or 700 thousand euros in research grants and been invited to speak in 17 countries. Dr Pritchard regularly speaks on radio and writes for newspapers around the world. His 29 op-eds have appeared in, among other outlets, Le Monde (France), Die Süddeutsche Zeitung (Germany), Kathimerini (Greece), Scroll.in (India), The Age (Australia) and Politike (Brazil). Dr Pritchard got his PhD in Ancient History from Macquarie University in 2000. I undertook the first cultural history of the armed forces of ancient democratic Athens. This research resolved a paradox that had long troubled ancient historians. The Athenian hoplite may have lost his central role in Athenian warmaking because of this city’s acquisition of sea power. But he still figured prominently in its popular culture. This heavily armed soldier continued to be the norm in public discussions of aretē (‘courage’), the military obligations of citizenship, age-distinctions, and the immorality of barbarians and women. The number of these discursive roles rendered the moving of the hoplite to one side culturally quite impossible. Doing so would have required nothing less than the complete re-writing of Athenian self-identity. But ancient historians had been wrong to infer from this ongoing ideological centrality of the hoplite that other citizen combatants could not have been acknowledged publicly. Whether today or in ancient Athens, popular culture is never logically consistent. It can easily support incongruous or patently contradictory ideas. My research revealed for the 1st time how the non-elite citizens serving in the navy were the main beneficiaries of this cultural flexibility. As a result of the power that they had to shape public discourse, naval skills came to be recognised as ‘national’ characteristics that had been handed down from the age of the heroes, while sailors were considered a major basis of the state’s military power and were regularly praised for their courage and their enduring of ponoi (‘toils’) and kindunoi (‘dangers’) in sea battles. This research was recognised for advancing Ancient History’s knowledge-base. Prof. R. K. Balot (Toronto) described it as ‘a probing account’ (2004, Classical Quarterly 54, 422-3 n. 67). Prof. K. A. Raaflaub (Brown) judged it ‘an impressive piece of work’, which made ‘a substantial contribution to the field of ancient Greek history’. Prof. B. S. Strauss (Cornell) wrote that he had ‘benefitted substantially’ from it (2000, in War and Violence in Ancient Greece, 276, Classical Press of Wales). Prof. P. Cartledge (Cambridge) judged that this research made ‘a substantial contribution on an important and difficult topic’. Ancient historians have long drawn on it extensively for their own research. Table 1, on the next page, summarises their use of one of its research outputs. These ongoing citations by senior ancient historians in top-tier journals or books with leading international presses confirm this study’s significant research impact. At the same time as investigating the warmaking of the classical Athenians I studied another of their major public activities: the staging of festivals. In particular I applied the approach that ancient historians had developed for analysing political participation to the question of social inclusion in the sporting agōnes that were a regular part of these religious celebrations. This research revealed how sport consisted of 2 closely integrated parts: games at festivals and the classes of the paidotribēs or sports teacher. Lessons in the standard sporting events were given only by these sports teachers, whose classes doubled up as the sole opportunity for boys and men to perfect them before competing in local or Panhellenic festivals. Clearly the participation of individuals in sport depended on the extent of their schooling. Because the Athenian dēmos decided against publicly funding education, they did not enjoy equal access to it. Poor Athenians could only afford to send their sons to the lessons of a letter teacher. It was only wealthy boys who were educated in the 3 traditional disciplines of sport, music and letters. Because non-elite Athenians did not attend the classes of a paidotribēs, which were widely recognised as necessary for sporting success, they would have done badly, if they entered games, and hence were hesitant about doing so in the 1st place. Thus Athenian democracy may have opened up politics to every social class. But it had no impact whatsoever on sporting participation. In democratic Athens sportsmen continued to be drawn only from the elite. This research has clearly made a huge global impact. The then Co-Director of the Copenhagen Polis Centre described its major research output as ‘the most penetrating examination of the question to have been published’ and one that would ‘give rise to a whole range of new questions’ (T. H. Nielsen 2006, Bryn Mawr Classical Review July, no. 51). Prof. M. Golden (Winnipeg) judged this chapter of 58 pages ‘an excellent extended discussion’ of sporting participation (2008, Greek Sport and Social Status, 148 n. 67, Austin). Prof. O. M. van Nijf (Groningen) wrote: (2005, Classical Bulletin 81, 214): ‘Pritchard is surely right in arguing against the likes of Young and Fisher that frequenting the gymnasium and a close association with the world of athletics would have marked someone out as an aristocrat.’ He concluded: ‘This is an excellent paper that shows how sport and politics intermingled at various levels.’ This research is now the subject of a review article of 44 pages (N. Fisher 2011, in Competition in the Ancient World, 175-219, Classical Press of Wales). This chapter has been widely cited. Admittedly a few of them do not accept all my findings. But the huge number of these citations and their high quality show that my research now sits right at the centre of the ongoing scholarly debate about participation in sport and education in the ancient world. In the last several years I have integrated further the different sides of my research interests by studying how the games of classical Athens related to its waging of war. The culmination of this work is a monograph that Cambridge University Press published in 2013. In 2016 the Press published a paperback version. The sportsmen of democratic Athens continued to be drawn only from the elite. Consequently it is as an anomaly that sport was highly valued by non-elite citizens. The dēmos judged sport to be an unambiguously good thing. The power that they had in Athenian democracy allowed them to turn this high evaluation into pro-sport policies. Thus they created an unrivalled program of sporting festivals, on which they spent a truly staggering amount of money. They protected sport and sportsmen from the public criticism that was normally otherwise directed at the elite and its conspicuous activities. This monograph accounts for this anomaly in terms of the relationship that the classical Athenians perceived between sport and war. The dēmos described battle and sporting competition with a common set of words and concepts. They saw both as agōnes with agreed rules that tested personal virtues and the fitness of their participants. Both types of contest involved toils and dangers, while victory was attributed to the aretē of soldiers and sportsmen. Democracy may not have changed the class background of sportsmen. But it did transform war. The Athenian dēmos massively increased the scale and the frequency of military expeditions. Lower-class citizens valued war more highly that any other secular activity. They extended military participation to every stratum of the citizenry. The creation of a publicly controlled army of hoplites as part of the democratic revolution, the subsequent expansion of the state’s navy and the provision of military pay opened up war to large numbers of lower-class Athenians. In Athenian democracy it was how audiences of this class responded that determined the outcomes not only of political and legal debates but also of dramatic competitions. Consequently speakers and playwrights were under pressure to represent the new experiences of the lower class as hoplites and sailors in terms of the traditional moral explanation of victory on the battle- and sports field. These transformations made sure that the cultural overlap between sport and war had a double impact on the standing of sport. The first effect was that non-elite citizens assimilated this elite preserve with the mainstream and highly valued activity of war. The second effect was that they now had personal experience of something that was akin to sport. Hence they could empathise more easily with what sportsmen actually did. These effects account for why the dēmos supported sport as much as they did and protected it from public criticism. Reviews of this monograph continue to appear (e.g. C. Mann 2015, Historische Zeitschrift 301, 172-3; K. Vlassopoulos 2014, Greece and Rome 61, 125-6). In his review Dr J. Crowley (Manchester) describes this book as ‘a significant achievement’ (2014 Journal of Hellenic Studies 134, 46-7). Crowley concludes (47): ‘For those interested in any or all of its 3 components, sport, democracy and war, it is recommended reading. For those interested in Athenian culture, however, it should be considered absolutely essential.’ In his review Prof. S. Brunet [New Hampshire] writes that this book ‘deals with the social and the ideological processes of Athenian democracy in a broad fashion’ (2014, Bryn Mawr Classical Review August, no. 36). Prof. Brunet concludes that it has forced him to ‘rethink’ how ‘the Greeks thought about athletics as a social institution’. I have also brought together the different sides of my research by comparing how much the classical Athenians spent on festivals, politics and wars. This research has resulted in in my 2nd monograph. The University of Texas Press published this monograph in 2015. August Böckh famously criticised the ancient Athenians for wasting money on festivals instead of building up their armed forces. But Böckh never attempted estimates of the actual costs of festivals and warmaking to back up his view. Interest in the relative cost of festivals has recently been revived with the shift of focus towards the social context of drama. Theatre experts have thus now costed the City Dionysia. In light of their unexpectedly high estimates they have endorsed Böckh’s view about heavy festival spending. In so doing they have called into question the consensus of military historians. They have long believed that the cost of Athenian warmaking far exceeded combined spending on all other public activities. To adjudicate this debate I undertook the 1st careful costing of Athenian festivals, politics and wars. This book confirms that total spending on festivals was surprising high. It was comparable to the running costs of Athenian democracy. But it was considerably less than what was spent on the armed forces. In times of war military expenditure ranged between 5 and 15 times what was spent on festivals. This spending differential reveals that it was not festivals nor games but war that was the overriding public priority of the Athenian dēmos. Reviews of this monograph continue to appear (e.g. C. Flament 2016, Revue belge de numismatique et de sigillographie 162, 348-53; H. Kloft 2016, Historische Zeitschrift 303, 816-17). In his review Dr J. Kierstead (VUW) describes it as ‘a superb book’, which asks ‘questions’ that ‘must be of importance to anyone with an interest in ancient direct democracy’ (2016, Ancient History 46). For Kierstead ‘the work is an extremely valuable contribution to the literature on the political economy of classical Athens’. He concludes: ‘Future scholarship on this topic will find Pritchard’s book impossible to ignore.’ Prof. J. M. Williams (SUNY) considers the book’s ‘meticulous accumulation of evidence and analysis’ to be ‘persuasive’ (2016, Choice 53.8, 1216). His review concludes: ‘All scholars studying Athenian democracy should read this well-research and well-argued book.’ J. Trevett [York] writes: ‘Pritchard’s desire to quantify Athenian expenditure is an undeniably worthwhile project which no one has tried to undertake in any detail since August Böckh’ (2015, Phoenix 38, 424-6, 424) For Trevett the book ‘will be required reading for anyone interested in the public finances of classical Athens’. Trevett concludes (426): ‘Pritchard has written an important book on Athenian public finances.’ B. Brown (Sydney) writes that the book buries ‘once and for all scholarly debates about the rationale behind Athenian public finance’ (2016, Classicum 51.2, 30-3, 30). For Brown ‘the timeliness of this book lies in demonstrating that the broader rationality of public spending lies in affirming the self-aware vision a political community has of itself’ (33). In his review Prof. G. Marginesu (Sassari) is just as positive (2016, Bryn Mawr Classical Review May, no. 34). For him the book ‘in spite of its difficult topic’ is ‘easy to read’, ‘brilliantly’ written and ‘clearly organised’. Marginesu concludes that the book ‘is substantial and full of personality’. Democratic Athens was the most important Greek state of the classical world. The major public activities of the Athenians were politics, wars and religious festivals. In each activity Athens was a runaway success. It developed democracy to a far higher level than any other state before the modern period. It became one of the ancient world’s greatest military powers. It staged more festivals than any other state. The agōnes (‘games’) that were part of these festivals helped Athens to lay foundations for the arts and the literatures of the ancient and modern worlds. Dr Pritchard's research has advanced our knowledge of all 3 activities. By showing how each activity impacted on the other he is changing how ancient historians understand this state. Dr Pritchard has systematically studied for the first time how the Athenians conceived of all the wings of their armed forces. He has published the most detailed analysis of the extent of participation in their games. Dr Pritchard has investigated how the conception of sport and war with a common set of concepts impacted on the public standing of both activities. He has shown how the military and cultural innovations of the Athenians were direct products of their democracy. Dr Pritchard has published the first exhaustive study in 200 years of how much they spent on their 3 major public activities. In order to undertake this research he has won a million dollars in research grants. The impact of his research is evident in the 30 positive reviews of his books and the 100s of citations of his publications. This impact is also reflected in his 8 overseas fellowships and his invited talks in 12 countries. Dr Pritchard has extended this impact beyond the academia by publishing 20 op-eds in newspaper across the world and speaking regularly on radio. Pritchard, David M. (2015). Athens. In W. Martin Bloomer (Ed. ), A Companion to Ancient Education (pp. 112-122) Chicester, United Kingdom: John Wiley & Sons. Pritchard, David M. (2015) The position of attic women in democratic Athens. Ancient History: resources for teachers, 41-44 2011-2014: 43-65. Pritchard, David M. (2014) The Public Payment of Magistrates in Fourth-Century Athens. Greek, Roman and Byzantine Studies, 54 1: 1-16. Pritchard, D. M. (2012) Costing festivals and war: spending priorities of the Athenian democracy. Historia - Zeitschrift fur Alte Geschichte, 61 1: 18-65. Pritchard, David M. (2012) Public honours for Panhellenic sporting victors in democratic Athens. Nikephoros, 25 209-220. Pritchard, David (2010). The symbiosis between democracy and war: The case of ancient Athens. In David Pritchard (Ed. ), War, democracy and culture in classical Athens (pp. 1-62) Cambridge, U.K.: Cambridge University Press. War, Democracy and Culture in Classical Athens. Edited by David Pritchard Cambridge, U.K .: Cambridge University Press, 2010. Pritchard, David (2005) Kleisthenes and Athenian democracy: Vision from above or below. Polis: The Journal of the Society for Greek Political Thought, 22 1: 136-157. Pritchard, David (2003). Athletics, education and participation in Classical Athens. In David Phillips and David Pritchard (Ed. ), Sport and festival in the ancient Greek world (pp. 293-349) London: Classical Press of Wales. David M. Pritchard (1998) ''The Fractured Imaginary': Popular Thinking on Military Matters in Fifth-Century Athens'. Ancient History: Resources for Teachers, 28 1: 38-61. Pritchard, David M. (1996) Thucydides and the Tradition of the Athenian Funeral Oration. Ancient History: Resource for Teachers, 26 137-157. Pritchard, David M. (1994) From Hoplite Republic to Thetic Democracy: The Social Context of the Reforms of Ephialtes. Ancient History: Resources for teachers, 34 2: 111-139. Pritchard, David M. (2019). Army. In Alan H. Sommerstein (Ed. ), The Encyclopedia of Greek Comedy (pp. 93-94) Hoboken, NJ, United States: Wiley-Blackwell. 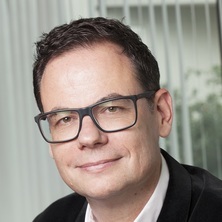 Pritchard, David M. (2019). Esporte e Guerra na Atenas Democrática. In C. Diogo de Souza and V. C. Porto (Ed. ), Vida e Morten os Jogos da Antiguidade: Entre poder, competição e religião (pp. 092-104) São Paulo: Revista do Museu de Arqueologia e Etnologia. Pritchard, David M. (2016). Democracy and war. In Iain Spence, Douglas Kelly and Peter Londey (Ed. ), Conflict in Ancient Greece and Rome: The Definitive Political, Social, and Military Encyclopedia: Greek Section (pp. 242-243) Santa Barbara CA, United States: ABL-CLIO. Pritchard, David M. (2016). Public spending and war. In Iain Spence, Douglas Kelly and Peter Londey (Ed. ), Conflict in Ancient Greece and Rome: The Definitive Political, Social, and Military Encyclopedia: Greek Section (pp. 274-278) Santa Barbara, CA, United States: ABC-CLIO. Pritchard, David M. (2016). Sport and war. In Iain Spence, Douglas Kelly and Peter Londey (Ed. ), Conflict in Ancient Greece and Rome: The Definitive Political, Social, and Military Encyclopedia: Greek Section (pp. 518-520) Santa Barbara, CA, United States: ABC-CLIO. Pritchard, David (2010). Sport, war and democracy in classical Athens. In Zinon Papakonstantinou (Ed. ), Sport in the cultures of the ancient world (pp. 64-97) Abingdon Oxon, U.K.: Routledge, Taylor & Francis Group. Phillips, David J. and Pritchard, David (2003). Introduction. In Phillips, David J. and Pritchard, David (Ed. ), Sport and Festival in the Ancient Greek World (pp. vii-xxxi) Swansea: Classical Press of Wales. Pritchard, David M. (1998). Thetes, Hoplites, and the Athenian Imaginary. In T. W. Hillard, R. A, Kearsley, C. E. V. Nixon and A. M. Nobbs (Ed. ), Ancient history in a modern university: Volume 1: The ancient Near East, Greece, and Rome (pp. 121-127) Sydney and Grand Rapids, Michigan: William B. Eerdmans Publishing. Pritchard, David M. (2018) Democratic warmaking in Ancient Athens. Limes: Revista de Estudios Clásicos, 30 67-82. Pritchard, David M. (2018) Les dépenses publiques dans l'Athènes démocratique: 200 ans après August Böckh. Revue des études anciennes, 120 385-405. Pritchard, David M. (2018) The Horsemen of Classical Athens: Some Considerations on Their Recruitment and Social Background. Athenaeum, 106 2: 405-419. Pritchard, David M. (2018) The standing of sailors in democratic Athens. Dialogues d'Histoire Ancienne, 44 2: . Pritchard, David M. (2018) THE HORSEMEN OF CLASSICAL ATHENS. SOME CONSIDERATIONS ON THEIR RECRUITMENT AND SOCIAL BACKGROUND. Athenaeum-Studi Periodici Di Letteratura E Storia Dell Antichita, 106 2: 439-453. Pritchard, David M. (2018) The horsemen of classical Athens. Some considerations on their recruitment and social background. Athenaeum, 2018 2: 439-453. Pritchard, David M. (2017) Guerra y finanzas públicas en la antigua Grecia. Limes: Revista de Estudios Clásicos, 28 123-138. Pritchard, David M. (2017) Public spending in democratic Athens. Ancient History: Resource for Teachers, 46 50-69. Pritchard, David M. (2016) The Ancient Olympic Games: David M. Pritchard Interviewed by Kelly Higgins-Devine on ABC Local Radio Queensland (Australia). South Brisbane, QLD, Australia, Australian Broadcasting Commission. Pritchard, David M. (2016) David M. Pritchard on Ancient Greek Direct Democracy and Today: Interviewed by Kelly Higgins-Devine on 612 ABC Brisbane Radio. South Brisbane, QLD, Australia, Australian Broadcasting Commission. Pritchard, David (2013, March 01). Lessons from the Ancient Olympics. Kathimerini, p.2-2. What is the value of Olympic Gold? Pritchard, David (2013, February 27). What is the value of Olympic Gold?. Kathimerini, . Pritchard, David (2010) The incongruous athletes of satyric drama. Classicum, 36 2: 11-22. Pritchard, David (2010) War, democracy and culture in classical Athens. Online Opinion, . Pritchard, David (2010) Costing the armed forces of Athens during the Peloponnesian War. Ancient History: Resources for Teachers, 37 2: 125-135. Pritchard, David (2010) The position of Attic women in democratic Athens. QHistory, 2010 16-29. Pritchard, David (2009) Costing the Great Panathenaia in the early fourth century BC. Classicvm, XXXV 8-15. Pritchard, David M. (2008) Working Papers, Open Access, and Cyber-Infrastructure in Classical Studies. Pritchard, David M. (2007) How do democracy and war affect each other? The case study of ancient Athens. Polis, 24 2: 328-352. Kleisthenes and Athenian Democracy: Vision from Above or Below? Pritchard, David M. (2005) Kleisthenes and Athenian Democracy: Vision from Above or Below?. Pritchard, David (2005) War and democracy in Ancient Athens : A preliminary report. Classicum, 31 1: 16-25. Pritchard, David (2005) Athletics, war and democracy in Classical Athens. Teaching History, 39 4: 4-10. Pritchard, David Morris (2004) A woman's place in classical Athens: An overview. Ancient history: resources for teachers, 34 170-191. Pritchard, David (2003) Participation in the ‘Old Education’ of Classical Athens. Classicum, 29(XXIX.2) 9-21. Pritchard, David Morris (2002) Tribal solidarity and participation in fifth-century Athens: A summary. Ancient History: Resources for teachers, 31 104-118. Pritchard, David M. (1995) How the Athenian Military Was Organised in the Late Fifth Century. Stele, 1 70-73. Pritchard, David M. (1993) Antigone in Paris: The Civic Context of Athenian Tragedy. Ancient History: Resource for Teachers, 23 8-18. Pritchard, David M. (1991) Thucydides, classical struggle and empire. Ancient History: Resource for Teachers , 21 77-85. What was the point of Olympic victory? Pritchard, David (2012). What was the point of Olympic victory?. In: A Conference on Olympic Athletes: Ancient and Modern. Program. A Conference on Olympic Athletes: Ancient and Modern, St. Lucia, QLD, Australia, (15-15). 6-8 July 2012. Pritchard, David (2010). War, democracy and culture in Classical Athens. In: Neil O'Sullivan, ASCS 31  Proceedings: Refereed Papers from the 31st Conference of the Australasian Society for Classical Studies. ASCS 31 , Perth, WA, Australia, (1-13). 2-5 February 2010. Pritchard, David M. (2017) ‘Deporte y guerra en la democracia ateniense’, Antigüedad: Religiones y Sociedades 15, David M Pritchard 2017 (in press). Pritchard, David M. (2017) 'The Archers of Classical Athens', Greece and Rome 65, David M. Pritchard 2018 (in press). Pritchard, David M. (2017) 'The Horsemen of Classical Athens: Some Considerations on Their Recruitment and Social Background', Athenaeum 106, David M. Pritchard 2018 (in press). "Sport and Democracy in Classical Athens" (in press), Antichthon 50. David M. Pritchard (2016) "Sport and Democracy in Classical Athens" (in press), Antichthon 50..
David M. Pritchard (2016, August 08). Our Olympic Team is a Terrible Waste of 300 Million Dollars. The Age, p.8-8. David M. Pritchard (2016, August 03). Our Olympic Team Is a Terrible Waste of Money. The Sydney Morning Herald, . What's the True Economic and Symbolic Value of an Olympic Team? David M. Pritchard (2016, July 28). What's the True Economic and Symbolic Value of an Olympic Team?. The Conversation, . David M. Pritchard (2016, June 09). Der wahre Wert von Olympia: Was die heutige Sportförderung von den alten Griechen lernen kann. Die Süddeutsche Zeitung, p.2-2. David M. Pritchard (2016, May 13). La vraie valeur, économique et symbolique, d’une équipe olympique. The Conversation, French edition, . David M. Pritchard (2015, October 02). Les leçons budgétaires de la démocratie athénienne antique. The Conversation, French edition, . Pritchard, David M. (2015) "Democracy and War in Ancient Athens and Today", GREECE AND ROME 62.2. David M. Pritchard (2015, July 10). Greek Voters Can Face the Grim Truth: Unlike Today, the Ancient Greeks Engaged the Masses in Making Tough Fiscal Choices. The Australian, p.12-12. Pritchard, David M. (2015) 'Public Finance and War in Ancient Greece', GREECE AND ROME 62.1. David M. Pritchard (2015, March 20). Democracy Means Telling Us the Truth. The Advertiser, p.26-26. David M. Pritchard (2015, March 14). Balancing the Budget: The Ancient Greek Perspective. Neos Kosmos, p.25-25. David M. Pritchard (2015, March 14). Balancing the Greek Budget: The Ancient Athenian Perspective. Kathimerini, p.3-3. If the Ancient Greeks Could Balance a Budget, Why Can’t We? David M. Pritchard (2015, March 06). If the Ancient Greeks Could Balance a Budget, Why Can’t We?. The Age, . Pritchard, David M. (2015) The cost of Athenian democracy. Pritchard, David M. (2014) The position of Attic women in democratic Athens. Pritchard, David M. (2013) The Democratic Support of Athletics in Classical Athens. "Public Honours for Panhellenic Sporting Victors in Democratic Athens"
Pritchard, David M. (2012) "Public Honours for Panhellenic Sporting Victors in Democratic Athens". Pritchard, David (2012) "Athletics in satyric drama", Greece and Rome 59.2. David M. Pritchard (2012, August 14). The Way the Ancient Greeks Idolised Olympic Victors Gives Fresh Insights into How We Benefit from the Games. The Advertiser, p.18-18. David M. Pritchard (2012, May 26). Paying Your Way to the Olympics. Neos Kosmos, p.31-31. What is the Point of Olympic Glory? David M. Pritchard (2012, May 07). What is the Point of Olympic Glory?. The Herald Sun, p.24-25. David M. Pritchard (2012, May 04). Olympians Rated Highest When Sport and War Were the Only Stage. The Courier-Mail, p.32-33. Pritchard, David M. (2012) 'Athletic participation, training and adolescent education'. Pritchard, David (2012) Aristophanes and De Ste. Croix: The value of old comedy as evidence for Athenian popular culture. Pritchard, David (2009) Costing Festivals and War: Spending Priorities of the Classical Athenian Democracy. Pritchard, David M. (2009) Sport, War and Democracy in Classical Athens. Pritchard, David M. (2008) War, democracy and popular culture in fifth-century Athens. St Lucia, QLD, Australia, UQ Cultural History Project. Pritchard, David M. (2008) War minus the shooting: sport and democracy in classical Athens. St Lucia, QLD, Australia, UQ Cultural History Project. Pritchard, David M. (2008) Athens. David M. Pritchard (2008, March 23). Sport and Democracy in Classical Athens. Kathimerini, p.4-4. David M. Pritchard (2006, July 03). Lessons for Us from the First Democracy. The Sydney Morning Herald, p.11-11. David M. Pritchard (2004, August 12). War minus the Shooting. Campus Review, p.10-11. Pritchard, David M. (2004) Kleisthenes, Participation, and the Dithyrambic Contests of Late Archaic and Classical Athens. Pritchard, David M. (1999). The Fractured Imaginary: Popular Thinking on Citizen Soldiers and Warfare in Fifth Century Athens PhD Thesis, Department of Ancient History, Divison of Humanities, Macquarie University.